It is no news to animal lovers, especially dog lovers, that Golden Retrievers are the best breed of dogs that you can own. Sure, they do look good with their glossy and shiny coat, and a classy and elegant outer appearance but, in addition to that, they are even better friends and playmates. Golden Retrievers are awesome pets. They are not only intelligent, but fast learners too. They don’t need to be looked after a lot, and are easy on the pocket. All you need to take care of is to not leave them alone for long periods of time. Along with that, there are plenty of other reasons why you should consider owning one as a pet. Below are listed 7 of them. Let’s have a look. Golden Retrievers are easy to train and, as mentioned before, are extremely quick learners. They will pick up any instructions given to them, and will abide by rules, if taught. This is one reason why they make good guards and guides for blind people. Golden Retriever Training can be done by professionals or even by their owners themselves. As is common knowledge, Golden Retrievers are found in every part of the world, although being originally breed in the USA. This is evidence of the fact that they are quite adaptable to live in any part of the world. A dog that can be taken care of in any part of the world can make nothing but a good pet. Also, training Golden Retrievers can be quite simple which makes them even more adaptable. Golden Retrievers are comfortable living on the processed food designed especially for dogs. Also, as they age, they can be given a more nourishing and fulfilling diet to supplement for their weaknesses and loss of energy. Apart from this, they are pretty easy to feed and take care of. Now Golden Retriever Puppy Buying may call for extra care by the time they are grown up. Golden Retrievers cannot make that good of watchdogs due to their soft and polite nature, but will definitely double up as a good playmate for you or kids in your house. Though they can grow up to be quite big and strong, they are still very soft and playful around children. This is one of the essential qualities looked for in a pet. 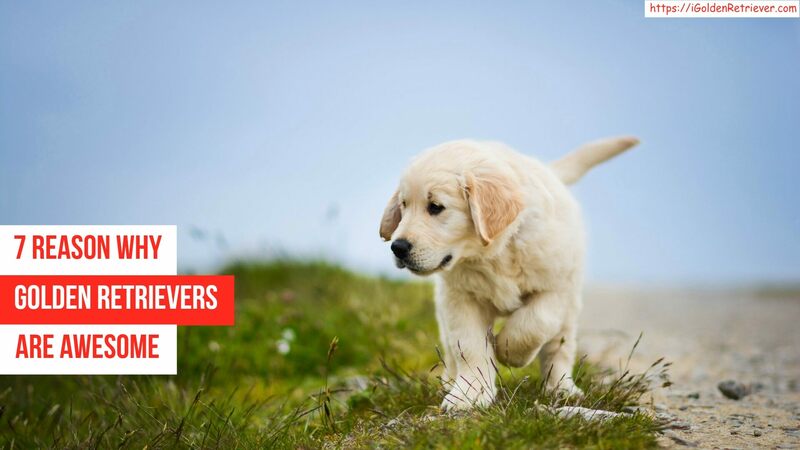 Apart from the basic necessities as food, food bowl, bed and grooming equipment, there is not much of a hassle in raising a Golden Retriever pup. They are extremely easy to look after, and do not pose any issue whatsoever. Pet-safe Collars are easily available in the market, and it is nothing but a good idea to have one for your Golden Retriever. Some dogs are constantly chasing cats or birds. It becomes difficult to raise such dogs together in a house in the vicinity of other animals too. But so isn’t the case with Golden Retrievers. They are good and friendly, and get along well with all kinds of animals such as other dogs, cats, birds and rabbits. They are widely used in therapy to combat stress and provide relief to highly tensed individuals. Just the sight of a Golden Retriever bouncing around is enough to impart joy and pleasantness in the onlooker. Such a pet can be nothing but a boon to own and look after. Use this living and walking stress-buster of a dog as your day-to- day therapy for calmness by adopting it as a pet. The above-mentioned reasons are not all when it comes to establishing the fact that Golden Retrievers do make amazing pets. There is much more to their petting abilities than the apparent ones. Golden Retrievers are awesome. In fact, they are one of the few breeds of dogs recommended for a dog-lover who hasn’t had any dog-pets yet. It is only because of their loving, carefree and intelligent nature do Golden Retrievers make great pets. Having said that, no matter how good the pet animal is, it is also the responsibility of the pet- owner to make sure they bring out the best in their pets. Golden Retriever vs. Labrador – Which is Best One ? How to Train Your Golden Retriever Dog? What Dog Breed Is the Perfect for You ?